This tiki-infused bar is an experience. Pilikia is so upbeat and celebratory that you’ll have a hard time being unhappy once you’re inside this tiki-flavored wonderland. Atmosphere: “I’m breathing, so I can’t complain,” one of the bouncers told me when I asked how he was doing. He checked my ID with a smile and sent me into Pilikia. I spent the first few minutes feeling like I’d just entered another world. Tiki faces smiled from every wall. Tiki grass, puffer fish, and ship netting hung overhead. Waitresses clad in skimpy sarongs whirled by. A DJ spun pop music against a back-lit wall of silver skulls, beside shelves filled with tiny treasure chests and ukuleles. Out back I discovered a patio full of low-slung furniture and Chinese lanterns. Pilikia is an experience. And that experience is a little like being part of a dance-tastic, booze-soaked Disney ride. 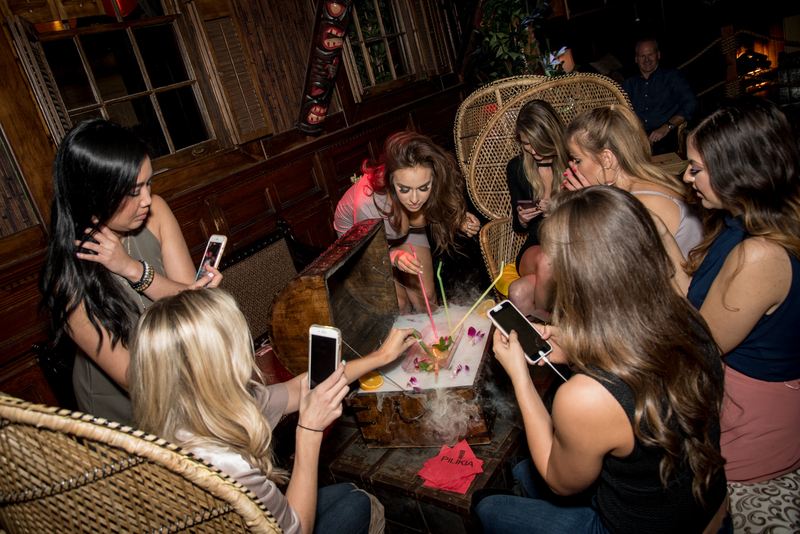 Share one of the bar’s “Beach Party” cocktails, which are poured into a treasure chest in the middle of the table. What to Order: They’ve got a nice selection of island-inspired cocktails: there’s a Banana Old Fashioned, a rum concoction called Riding the Wave, a Cherry Vanilla Daiquiri, and, of course, a Pina Colada. But the “Beach Party” cocktails are where it’s at. 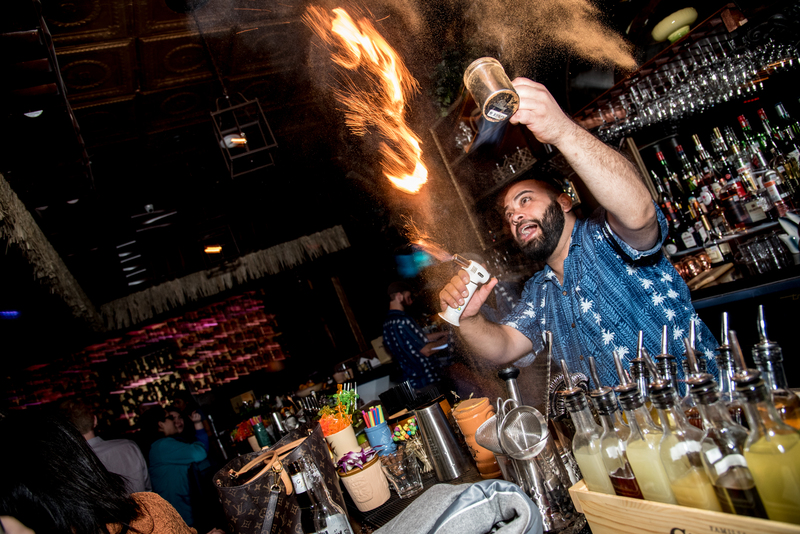 These group drinks (like the Volcano Scorpion Bowl—a mix of rum, gin, and vodka) are poured directly into the treasure chest at the center of your table. Then everyone is given a straw. From low-slung furniture to fiery cocktails, the bar’s interior is colorful and engaging. What I Didn’t Like: I got a little overwhelmed after a while. You might have to go to your most-quiet dive to finish out the night after a few hours spent here. What I Did Like: It’s the perfect cure for a bad mood.